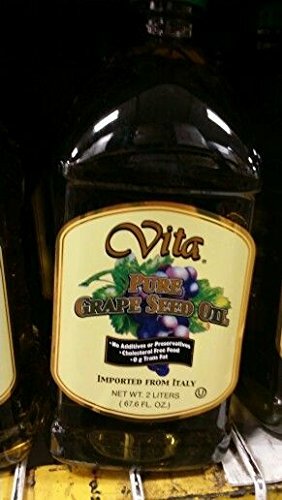 Try two 2 liter bottles of this great grape seed oil from Vita! Like olive oils, it has a high polyunsaturated fat content, also known as "good fat". If you have any questions about this product by Vita, contact us by completing and submitting the form below. If you are looking for a specif part number, please include it with your message. Lieber's Grapeseed Oil No Cholesterol 34 Oz. Pack Of 3.